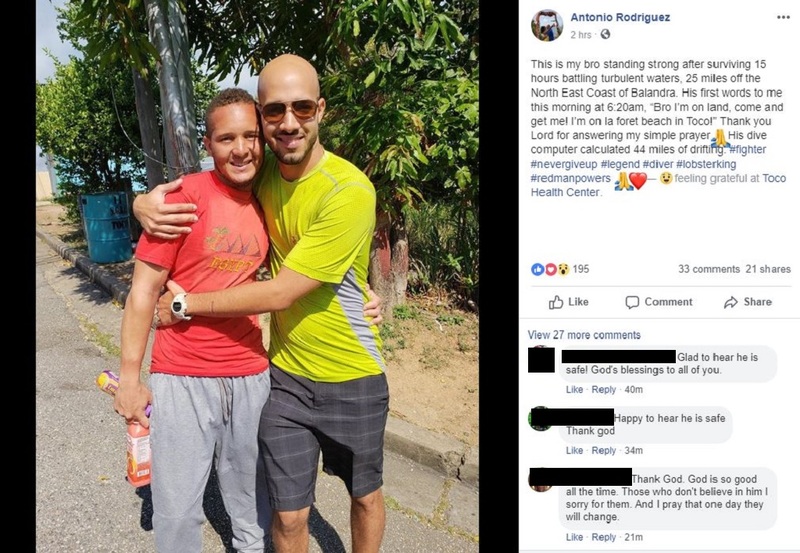 Photo: Christopher Bugros' amazing 44-mile journey after being caught in a current while diving off Trinidad's East Coast on April 10, 2019, has inspired many. 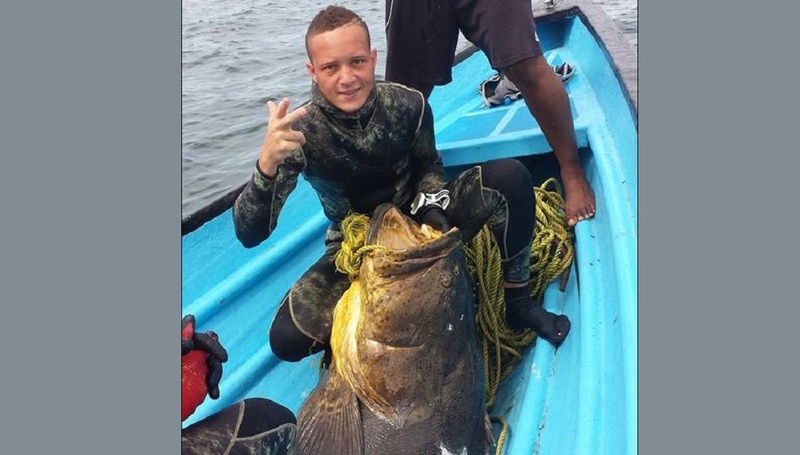 Bugros was able to swim to shore on April 11, 25 miles from his original diving location. "I am not going to die today." 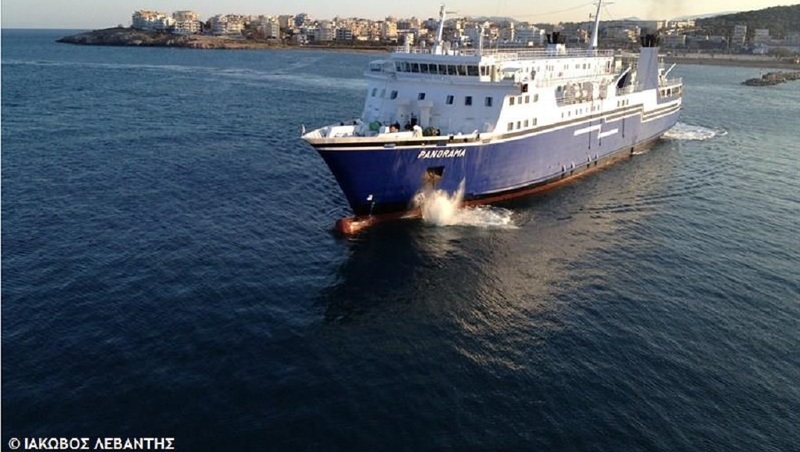 Those were the words that diver Christopher Bugros said to himself while drifting several miles off the East coast of Trinidad, after powerful currents led him away from his diving group near Balandra on April 10, 2019. Bugros' 44-mile journey from his diving point off Balandra to La Foret Beach in Toco where he came ashore 15 hours later, has led to him being called 'Aquaman' by some citizens, who were amazed by his courage and persistence in the face of adversity. 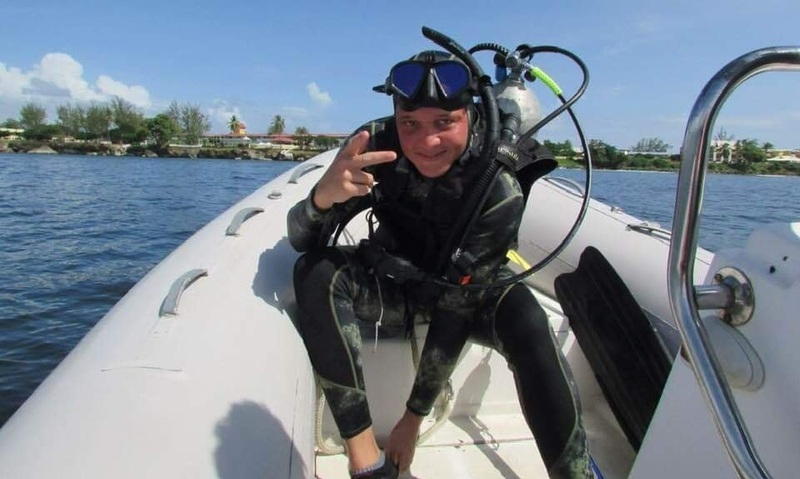 Bugros' sister, Maria Bugros, told LoopTT that the 28-year-old diver had been deep diving with others when they encountered a bull shark. Two of his group headed back to the boat, however, Bugros became trapped in a current which prevented him from rising too quickly (rising too quickly from a deep dive can cause decompression sickness, also known as 'the bends'). Bugros was forced to drift with the current, and when he surfaced, he saw the vessel approximately a mile away. He used his whistle and waved to try to get the boat's attention, but they were too far away to see him. It was then that he realised he was on his own until help arrived. "I know from speaking with him he said was a bit scared but he prayed a lot while he was out there. He told us that he said, "I’m not going to die today”, and I think that helped him to survive. I think that will to live is what kept him going,” she said. Using his training passed onto him by his father, who is also a diver, Bugros used his diving tank as a flotation device and took his shirt and wrapped it around the tank. However, the rough waves of the Atlantic ocean continued to batter him for 15 hours as he slowly weakened. "The waves were so heavy, hitting his face all the time. He became severely dehydrated and began drinking sea water. As time passed the tank got heavier and when he saw a light, he took the chance to free swim. He would swim, breathe, take a break, sometimes he would drink more sea water." Thankfully he made it safely to shore and was able to get help. The family is still recovering from another tragedy after their mother passed away some years ago. “This experience was horrifying…a few years ago we lost our mom. When we got this call, we didn’t know where to search, we didn’t know what to do, we gathered everyone we could to help and we spent money to get gas for the guys to go out." "They were searching nonstop from the night straight until the morning when he was found. It was a relief that he came back home safe," she said. 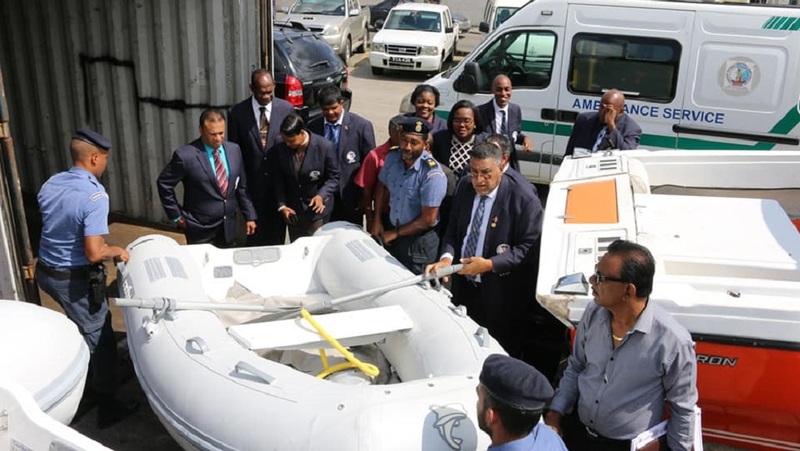 However, she said her faith remained constant that he would return, even after the Trinidad and Tobago Coast Guard (TTCG) halted their search. "Never for one minute did I believe that he would have died out there. I know how smart he is, he used every bit of knowledge his dad gave him when it came to diving and using his tank. We knew he would come home." She added that this ordeal has not deterred Bugros from his love of fishing. "Our dad is also a diver, we're originally from Grand Chemin, Moruga, our dad is also a fisherman so he used to take us out as kids on the boat. Chris started swimming at five years old, it's in his blood. This is something that's a passion for him." "We know that even after all that's happened this is not going to stop him from going back out there and doing what he loves, he'll just be better prepared now, with experience comes knowledge," she said. She said Bugros is recovering slowly and soon will be back to full strength.